Public Enterprises Minister Pravin Gordhan, along with several Eskom executives, addressed the media on the state of SA's electricity supply on Wednesday. This was a follow up briefing on one he held last month when the country was in the midst of Stage 4 load shedding. At the briefing, Gordhan announced several plans ahead of winter as well as what was needed to turn the situation around at the cash-strapped power utility. 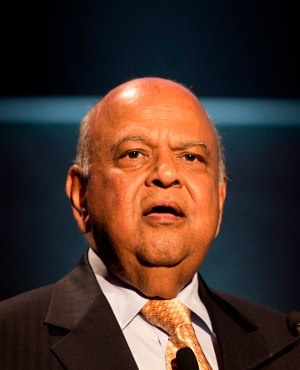 Here are Gordhan's top 5 quotes on the future of load shedding and Eskom's long road ahead. "We hope to have no load shedding at all by the end of August. If we do implement load shedding, it will be at Stage 1. Stage 1 is a far cry from Stage 4 and far less disruptive...we might be able to present a very different scenario in a few months." "The prosecuting authority itself was captured and we are in the process of liberating those institutions. There is no shyness (in terms of prosecuting those responsible for Eskom's failures as a result of corruption or other criminal activities)." "Clearly plans are nice to have...the key point here is both the plan and the discipline and rigour is needed to ensure implementation. In this regard an important culture change needs to happen at Eskom." "On Medupi and Kusile, there is no reverse gear." "Consequence management is going to be key - if you promise that X will be done in Y time and it if it is not done and it impacts negatively on supply, then there must be consequences for the people involved."